Finding gifts for relatives or friends can be time consuming and difficult. LEGO makes a perfect gift, particularly if you have a LEGO enthusiast or collector in the family or amongst your group of friends. If they like LEGO why not treat them to some personalised engraved products from our seasonal range? 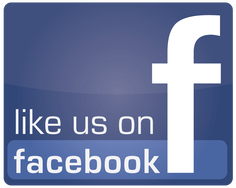 We offer high quality items for three main events; Christmas, Birthdays and Weddings. What do you buy someone who has everything? A special personalised gift is ideal. 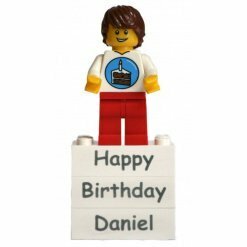 We stock several special Birthday gifts including the personalised Birthday Boy or Girl Minifigure along with three bricks which can be engraved with a unique message such as Happy Birthday, Best Wishes or the recipient’s age. 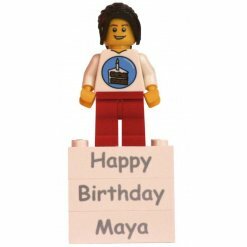 The Minifigure situated at the top of the bricks includes a seasonal jumper which makes it a perfect birthday gift. Unique Christmas decorations or Minifigures are excellent stocking fillers. We stock two main types of Christmas items. The first is a custom engraved Minifigure inside a clear bauble. Customise the Minifigure with a special seasonal message. 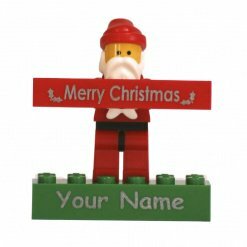 Alternatively you may want to opt for a custom made Santa Minifigure with an engraved personalised brick where you can add the name of the recipient. 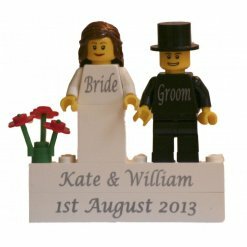 We even offer special wedding Minifigures with our custom bride and groom with two engraved bricks. Wish a happy couple well with these fitting Minifigures! 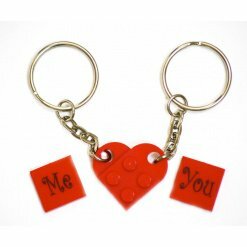 We also offer a heart shaped two piece engraved key rings which are great for weddings or valentine’s day. Here at The Minifigure Store we try to stock as many unique products as we can and that’s why we provide our seasonal range of gifts. Make that special occasion extra special with a personalised, seasonal gift from The Minifigure Store. Your order will be carefully packed by our team and delivered to your home.